I don't know much about this yet but it's being made by Niantic. The makers of the Google game, Ingress. Looks like it could be good, but I don't expect it to be anything like what we see in this amazing video! Nice surprise to see your friend request this morning Grump! Hope we can catch up and maybe do a raid at PAX South in January along with Manta. I've got Beldera catching the pokemons again too (or I should say, her co-workers got us both back into it)! Her Trainer Code is 2626 6811 5263 and with all the pokestops on her walk to work she needs more friends to send gifts to! My son is looking for some more friends. 3726 0606 9289 / Craft845 if anyone wants to hit him up. In 3 days I've hit level 10 so I guess that's not too bad. Friend request have been sent to everyone on pages 50 and 51. Thanks for the friend requests. I am always happy to help with questions about the game too. 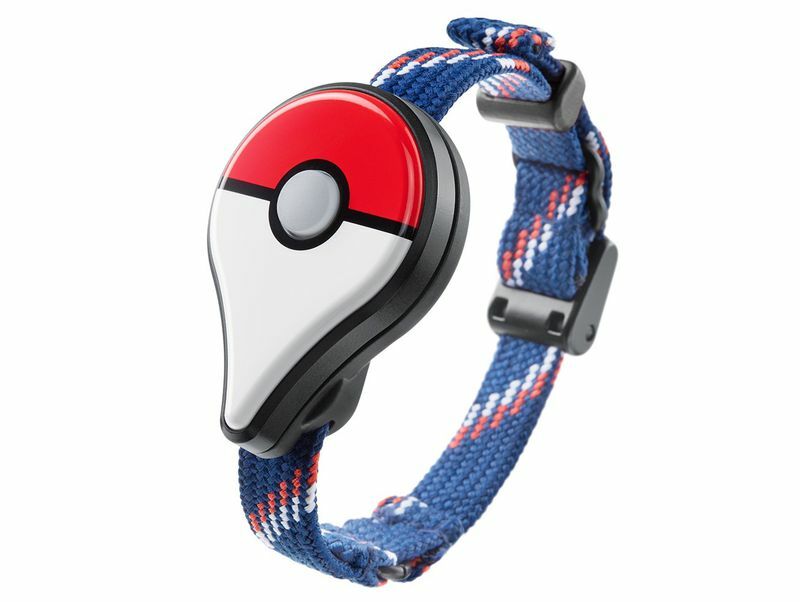 Gamepress and The Silph Road are the best sources for info if you want more details about how things work or why. Thanks to everyone who has been sending gifts, my son enjoys seeing the different places they come from. I keep reminding him to return the favor. Ha, Dryden, I can't stop laughing!!!! Hah, that couldn't have been set up any better Dryden. Adorable. I'm picturing a whole tale where lonely kid goes down to the little lending library to borrow a book and begins a Poke adventure with CP12 birthday pikachu, going on to become captain of Team Inspiration. Then comes back years later with all the other special hat Pikachu for a heartwarming party celebrating the journey they had. So who wants to organize a GWJ battle tournament? A what? How does one do that?!? Next upcoming big patch features trainer versus trainer battles. Level 3 and higher friends can battle from any distance. My understanding is that you have to trade (scan) battle-codes, but I assume that can be worked around by photographing them? They've claimed photographing won't work, but that you can remotely battle friends with whom you've reached either Ultra or Best friend status. I'm unclear if you can just battle the same trainer multiple times in the same day for rewards (3 x for pvp, 1 time for battling your team leader). Considering it gives a chance for Sinnoh stones that are no longer guaranteed by weekly research, probably the best source for those. Ooooooh.... I’m listening. And interested. Verge and Kotaku have articles as well as Eurogamer. They did a full actual press release with easter eggs of new pokemon and everything. Really impressed with it. It's not just tapping like raids, but it is not turned based. Feels like a good compromise/starting point for pogo battling especially since a lot of us have not played the main series games. Info graphic I just saw on reddit. Thanks for posting that Manta! Hey all, playing again and could use friends. I've added a few of you from the last two pages. Toddland, I'm giving you an add now. I FINALLY got a Blastoise after however many years this has been out. Now, for the CHarizard. He's not remotely as high in CP as I'd like to put in gyms, but I'm all about that 'dex. Oh, looks like the update just dropped! Hi! How are you all doing? For anyone who's received friend requests from BunbyHeri, that's me . My wife just got me into Pokemon Go (and I'm surprised I hadn't already tried it out!) and I'm having a blast with it. Welcome to the club BunbyHeri! I got your request and will try to get you some gifts asap! I've recently jumped back into Pokemon Go as my 4 year old son has started showing great interest in the series. For me, Pokemon was one of the first games/series that really captivated my attention as a youth and I carried my gameboy with me everywhere. Fast forward nearly twenty years and I have a phone in my pocket with a Pokemon game and just picked up Let's Go Pikachu for the switch. Reliving Pokemon Yellow (no matter how watered down some aspects may seem) has been great so far. Getting to see it through my little guy's eyes as well is particularly fun. With that said I installed Pokemon Go on my android device early when you still had to get the APK from some sketchy site that thankfully turned out to be legit. However, living a rural area with no pokestops near where I work or live I did not see much depth in the game. I've decided to give it another shot and figured I'd go through and add some friends from here as well. If you see an invite from Nadaklu - that's me! Thanks Sydhart! (and thanks to everyone else, too!) There are a number of pokestops that I pass by during the week, so I always try to keep up with sending out gifts as well! My wife is looking for new friends, too, so if you see a friend request from Capeduck, that'd be her . Hello all. Also back on the Pokemon Go train (mostly due to Pokemon Let's Go on the Switch) Trainer code is 133070366381. Feel free to add me! I'm Astyrith so if you see invites from me, you know why!! Sent one your way. Just bear with me, I’m all out of gifts this morning.